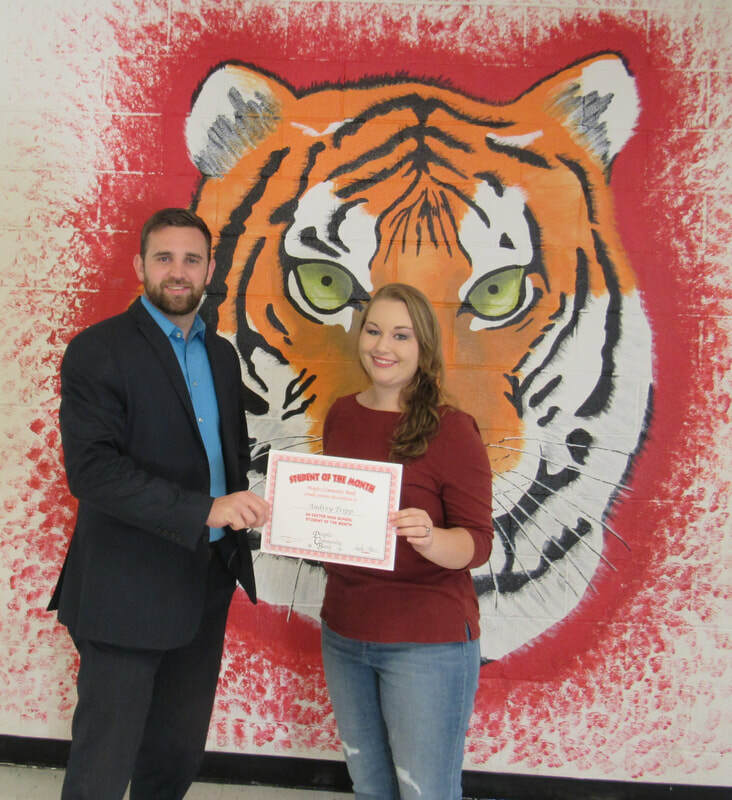 Exeter’s September Student of the Month was awarded to Audrey Tripp. Tripp is a junior at Exeter High. She will also receive a $50 scholarship in the form of a Graduate Certificate of Deposit. People’s Community Bank will present an award to one student each month from the high school. Pictured at left is Taylor House, with People’s Community Bank, and Audrey Tripp, Exeter September Student of the Month.